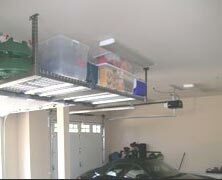 Advanced Garage offers the very best in overhead storage racks to the Sacramento area and beyond. 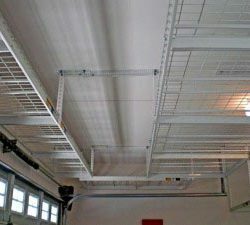 These commercial racks are constructed of heavy-duty powder-coated steel and come in a variety of sizes. 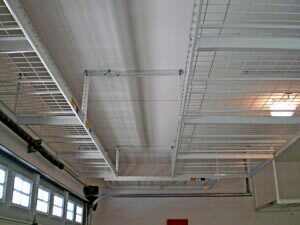 Overhead storage racks take advantage of space that would otherwise go unused. 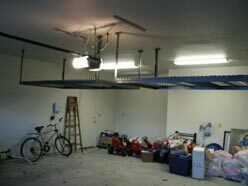 With a 500 pound load capacity, overhead racks are great for storing holiday decorations, camping gear, and all of the other important stuff that we cannot seem to part with. 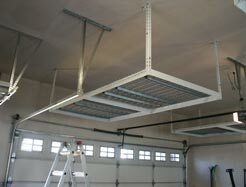 With Advanced Garage’s professional installation, you will have your overhead racks up and secure in no time. Just imagine all that stuff off the floor and neatly stored overhead. 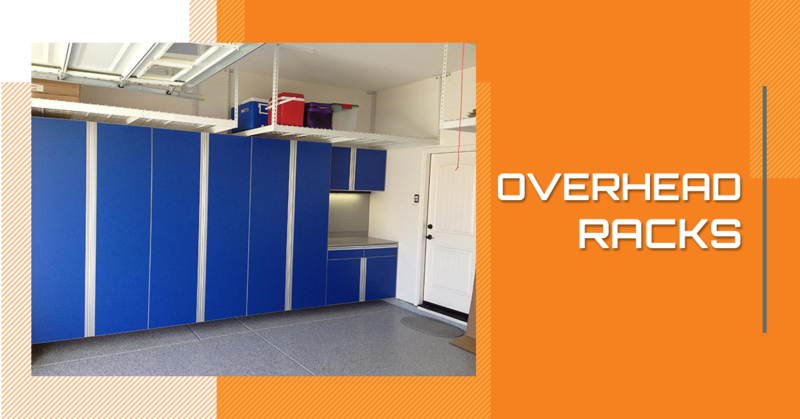 Up to 8′ wide opening for storing long bulky items. Drop down to 45″ from your ceiling. Up to 112 cubic feet of storage in a single 4×8 unit. 14 ga. powder coated steel frame with galvanized deck. 8 sizes and 2 height adjustment ranges.